The "Swede" is a dynamic Knee Brace made of 1/8" latex-free neoprene covered on the inside and outside with nylon. A patellar opening is present for brace and patella positioning and comfort. 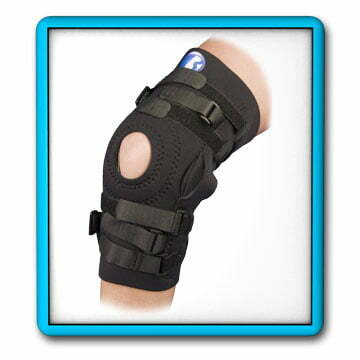 A universal neoprene crescent-shaped buttress is included for patella control. An upper and lower cirumferential strap is included for additional support. The braces comes with a covered, multi-position hinge. 12 Colors, American Flag and Camoflage Patterns and sizes are available. Not available in Bunga KoolFlex™ material.